The Commission on Elections called on candidates in the village and youth council polls and their campaign teams to avoid littering by posting legal promotional materials only in areas designated by the Comelec. According to Comelec Bohol election officer Atty. 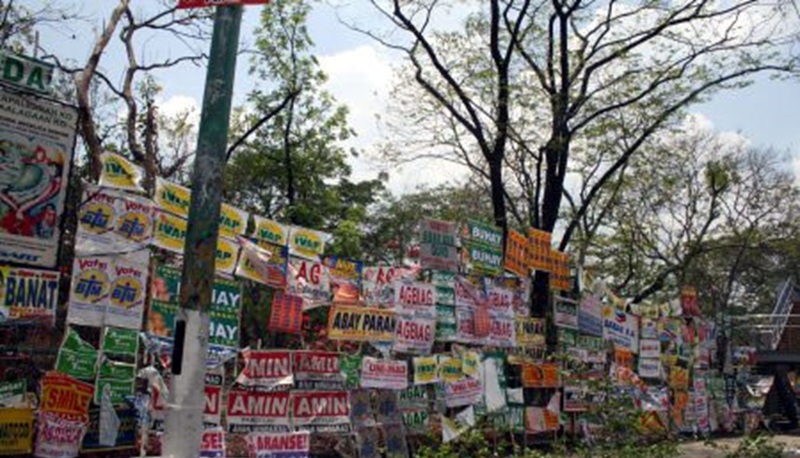 Ariel Selma, campaign materials are not allowed to be posted in areas beyond locations pinpointed by officials as “common poster areas” in Tagbilaran City. According to Selma, posters should not be posted on trees even if these are within the designated areas for campaign materials. The posters should not be larger than 8 and a half inches by 14 inches, while pamphlets, leaflets, cards, decals, stickers or other written and printed materials should not be bigger than a normal-sized bond paper. Streamers printed on cloth or cardboard should only have a maximum size of 2 by 3 feet. Meanwhile, streamers displayed during assemblies should only be 3 by 8 feet in size. These should only be installed five days before the gathering and should be removed 24 hours after the activity. Candidates are also allowed to use vehicles with sound units to broadcast campaigns. Campaign period for the barangay and Sangguniang Kabataan polls started on Friday and will last until May 12, or two days before Election Day.